This time we are presenting research on the part of those practising one of the ancient arts of medicine known as Pranic healing (treatment through 'prana' or life-force). This method, like herbal remedies, goes back centuries - to a time when human beings were beginning to lose their connection to Nature and consequently experienced terrible bodily pains. Since then we have gradually lost most natural methods of recovery, and today we tend to treat diseases with monstrous methods which have no inherent capacity to solve human health problems. This fact is confirmed both by the number of ever longer queues at medical clinics, and by an evident overall lessening of the human body's defensive mechanisms. The following is a basic outline of a simple but accurate description and analysis of what has been observed in the application of Siberian cedar nut oil produced through a special cold-pressing technology, with no metal used in the process. This description may be used for prescriptions and for controlling the curative action. This article is tentatively entitled: "Experimentation for determining the effect of cedar nut oil on health-governing energy chakras and on the overall improvement of bodily energy". Cedar nut oil placed on the tip of my tongue produced the following effect: increase in the sensation of circulation in the gutteral blood vessels, activisation of lymphatic points, along with a general feeling of rejuvenation running through the whole body. Cedar nut oil placed under the tongue produced the following effect: a merging with one's soul (higher consciousness) and the transferring of control over bodily functions to the soul. The healing effect undoubtedly extends to the body's immune system and this is one of the basic applications of the oil. It is important to do as much research as possible on the healing qualities of this product, especially on its effect on the immune system, so as to know more about its usefulness in treating immunodeficiency disorders. Clairvoyance has aided in observing the effect of cedar nut oil on the aura of the 'thymus' (the chakra region localised at the base of the neck, responsible for controlling the body's immune system). An increase in the colour brightness and breadth of the 'thymus' aura pointed to an indisputable connection this medicinal plant (the cedar) or cedar nut oil has with the immune system and the soul (higher consciousness). This research was conducted by an energy healer, professionally engaged in the system of Pranic healing (healing through the 'prana', or life-force), developed by the Institute for Inner Studies in Manila in the Philippines. This cedar nut oil may be justifiably considered the Western equivalent of the Oriental sanjivini remedies, which restore life and facilitate one's journey through the evolutionary calendar. 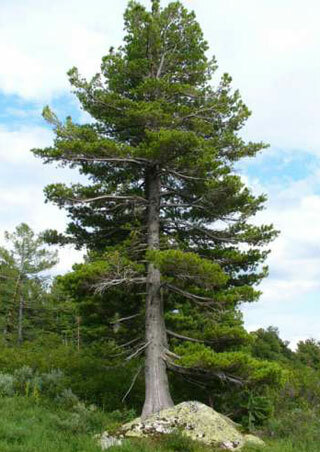 Any user of alternative medicine is acquainted with the healing properties of the cedar tree. It is important to realise that the medicinal qualities of cedar products are significantly higher in their natural state, without the negative influences associated with processing procedures. Cedar nut oil obtained in the natural state is fully and totally effective in the healing of ailments related to the musculoskeletal system (in pre- and post-operational conditions), skin disorders, the locomotor apparatus, respiratory disorders, as well as the digestive and cardial systems. However, in spite of the broad spectrum of clearly evident healing effects in the treatment of the above-named disorders, as an independent remedy it cannot be properly compared to other therapeutic measures, inasmuch as cedar nut oil serves to facilitate the fullest assimilation of medicinal remedies, significantly minimising their toxic effects; it is a good supplement to both physiological and therapeutic procedures. Its application as a prophylactic is especially recommended to people subject to serious physical and mental stress (e.g., soldiers, athletes, students and managers) - not to mention smokers - thanks to the accelerated formation of free radicals in their bodies. Conclusion: Cedar nut oil is a natural strengthener of the body's immune system and consequently serves to protect the body from harmful external environmental factors. 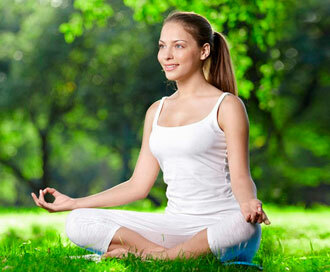 It facilitates a more rapid recovery of the body from various disorders. I appeal to the medical profession of this great country to try this natural product in its original state, and you will see how people can be restored to their native legacy of a sound mind in a sound body, so that they can be happier and be of better service to their country. Consulate General of India, Moscow. Presented by public organization "PILGRIM FOUND" Ekaterinburg, Russian Federation, May 12, 2000. What shipping rates apply to international orders? Please refer to the Shipping information in the Store section of our web-site.